Not having a will, or having an invalid will. Everyone should at least have a will. But some people think they are too young, or don’t have enough assets, or simply don’t want to be bothered. The truth is, young people die and are disabled all the time. 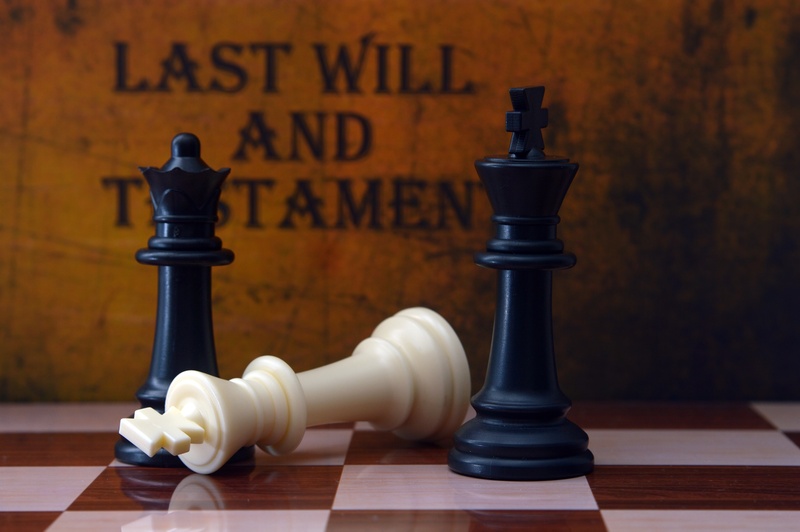 Without a will, your assets are at the mercy of the state, and you are setting up a situation where your heirs may be embroiled in legal conflicts, possibly for many years. Not having all the necessary legal instruments. It’s important to have a will, but it’s also important to have a living will, a durable power of attorney for health care, a durable power of attorney for finances, and, if necessary, revocable living trusts. Estate planning is not just about who gets what when you die–it’s also about planning how your health and assets are managed if you are incapable of doing so. Having insufficient funds set aside for settling the estate. People often underestimate the cost of funeral expenses, debt payments, probate costs, taxes and, if they are business owners, business operating expenses. It’s important that the plan be properly funded, so that all expenses are paid and there is something left for beneficiaries. Not updating your estate plan regularly. This is important for a number of reasons. Tax laws constantly change, major life events like divorce create changes to your financial profile, estate planning goals, and bequests, and beneficiaries may pass away before you do. If your estate plan is not current, you risk causing major headaches for any surviving beneficiaries. Not reducing your beneficiaries’ tax burden. This part is tricky, and depends on your particular circumstances, the size of your estate, where you reside at the time of your death, and the ever-changing tax laws. It’s possible to inadvertently subject your bequest to taxes that could be avoided if you structured your estate differently. Have a qualified estate planning professional review your plan to avoid unnecessary taxation. Choosing the wrong executor. It is important that you choose the right person to manage the settlement of your estate after your death. Being an executor can be a daunting and demanding job, and if your executor does not have the skills or ability to do the job properly, you are doing a disservice to your beneficiaries. Moreover, if the person you have named as you executor is the same person who is the beneficiary of your life insurance policy, that money will be taxed unless you have made provisions to protect the funds from taxation. Not titling assets in trusts correctly. For trusts to work the way they are intended, it is important that assets be titled appropriately in the documents establishing the trust. If this is not done correctly, the trust will not do what it is supposed to do, and may cost your loved ones. Using fill-in-the-blanks legal documents. Unless you have a great deal of estate planning expertise, you are likely not doing everything necessary to protect the assets you wish to pass on. Each estate is unique, and a cookie-cutter approach does not work best. Do it yourself estate planning can lead to nightmarish problems if not done properly. Not using a qualified estate-planning professional. If your estate planning is being done by someone without the necessary background, knowledge and skills to do the job correctly, you or your loved ones are apt to pay the price for their mistakes and ignorance. Not all attorneys have a background in estate planning, and not all financial professionals understand the intricacies of a complicated set of laws. Not sharing the location of your will with your loved ones. How can they know what your last wishes were if they donât know how to find them? If a valid will cannot be produced, the state will decide how your estate is to be settled, and that may not be in accordance with your wishes, or in the best interests of your beneficiaries. If need help planning your estate, or have any questions about your existing estate plan, call our office at 856-227-7888 or contact us at hinklelaw@lyndahinkle.com. We are happy to offer a free half hour consultation..